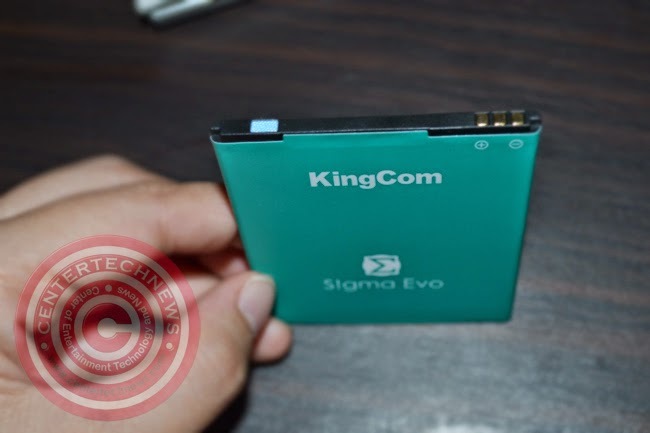 It has been a while since KingCom stepped out of its box and introduced their own line of smartphone series, and S!gma Evo is just the newest and best one yet. Proving that they aim for pocket friendly product without compromising its quality, KingCom promises to continue giving the best customer experience they can offer. Let’s see if they keep up with the new trends of lifestyle without charging much as they promise. Take this S!gma Evo on adventures and capture that landscape that you might just see only once in a lifetime with its 13MP rear camera. With advanced features just like in a digicam, capture that crisp colorful image of a party, wedding or reunions. Take selfies with your significant others will all smiles through the 5MP front camera. The high resolution photos can also be taken to the edge with image stabilization, panorama shooting, face embellishments, high dynamic range, ISO settings, 14 screen modes, 7 color effects, exposure settings, zero shutter delay, face detection, smile shot, gesture detection (peace sign) and adjustable picture size by choosing the pixels you desire from QVGA to 13M. 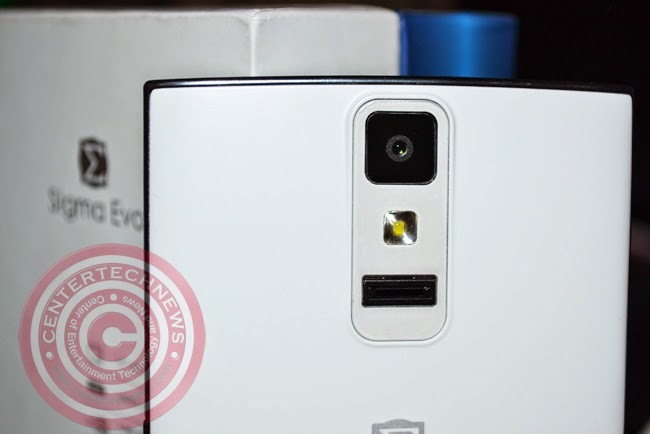 As for taking videos, this is by far the best phone that landed in our hands that is very budget friendly. There are various settings that you can tinker while taking videos such as the Electronic Image Stabilization (EIS), you can mute the microphone (try if your phone has that feature), adjust the time lapse interval, and choose from four video quality settings. Capture clear and vivid videos in high definition even at night or low light conditions and be amazed as you compare it with other smartphones with the same price range. As many know, KingCom started with quality card readers, mp3/mp4 players, flash drives, video cameras, mobile chargers, mobile phone battery packs. Aiming to give the best yet affordable products to their consumers, KingCom’s Sigma Evo is powered by a 3.7 Li-Polymer battery of 2200mAh. Li-Po batteries also have very low self discharge level unlike its predecessors. Lithium Polymer batteries do not need metal casings, thus it is very light unlike the Lithium Ion, making S!gma Evo light and handy dandy. With continuous use (games, watching movies, surfing through WiFi, playing music), the battery’s juice got used up in 6 hours. As for the charging time, it takes a little more than 2 hours to be completely juiced up. If you wanted to, you can schedule S!gma Evo’s power on and off to save battery power and have no messages and calls interrupting your sleep. Coming with a 1280 x 720 resolution, the EVO is armed with a 5inch HD AMOLED that can amazingly display vivid, crisp and clear images brought by a pixel density of 342 pixels per inch. S!gma Evo also has gesture sensing that gives you the control over your saved images in the gallery and songs in your playlist even without touching the screen. No need to worry about your wet or sweaty hands. What also made this smartphone one of a kind among its peers is the Screen Gesture. With simple gesture on the locked/asleep screen, you can automatically unlock the screen,open an app, snap a photo, open the flashlight, send messages, change the song currently playing, and even turn on the music. Powered by 1.7 GHz Octa Core Processor, S!gma Evo won’t get behind when it comes to speed and performance. 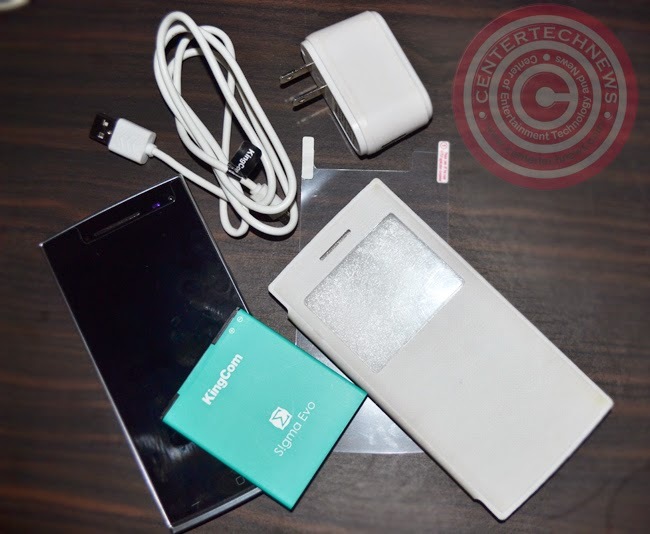 It also comes with 1G RAM, 8G ROM (usable Internal Storage of 6G ) and an expandable microSD slot of up to 32G. Sigma Evo can give you the convenience of two phones in one because it has Dual SIM Standby capability, two card slot for one regular slim and the other is for one MircoSD card. Sigma Evo runs with Android v4.4.2 Kitkat. Go online on Facebook and check out notifications, post statuses and share something worthwhile with Wi-Fi, 3G and Bluetooth. We may not say that S!gma Evo has fast connectivity or not with the WiFi and 3G because as we know these are also greatly affected by the service of the network provider. As for our test, ( and we tested only one), it was quite fast when connecting. While we can say that the display is superb and crisp, the sounds seemed to be lacking the bass many music lover wanted if you wanted to play music through the loud speaker. If you have your earphones and headsets with you, then there is nothing to fret about. AnTuTu Benchmark is an Android Benchmarking App that is very comprehensive and useful especially when you are looking for a new phone and has no idea where to begin. This app looks into the phone’s CPU Integer Performance, RAM test, CPU Pointing Point Performance, Memory Performance, SD card read-write speed, and Database Input and output (I/O). Each item is assessed and given a score then it ranks your device among other Android devices. It is also updated frequently to realtime parameters all over the globe. According to AnTuTu Benchmark, S!gma Evo ranked higher than HTC One and just below LG G3 and Google Nexus 5. To have a high rank considering the price tag of S!gma Evo is surprising to us. Considering the price of S!gma Evo at P7,998, we weren’t expecting much far from its predecessor, S!gma Stone, and we admit that we had underestimated it. The smartphone is lighter than most smartphones with 5inch display. The images and video play are all crisp and vivid. It is quite fast too since it is powered by 1.7 GHz Octa Core Processor. One of the things that amazed us is the free battery. We thought there had been a mix up at first since it is quite unusual to find a free battery pack in the box, but it was actually on purpose. Isn’t it handy to have the extra juice when traveling? 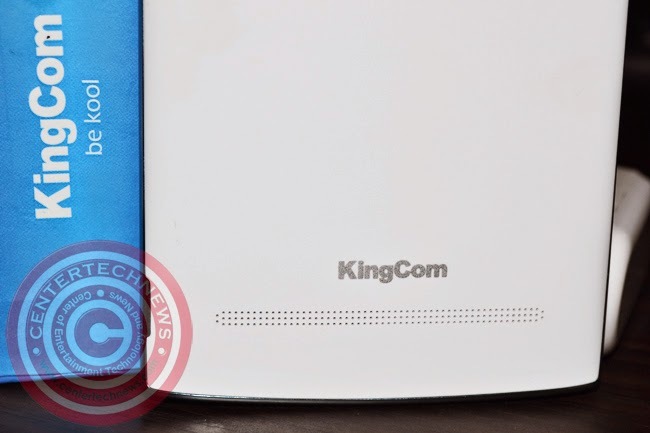 And KingCom also prides with their quality battery packs since it was founded 14 years ago. The camera ha advance settings you don’t usually see in smartphones with its price range. Video recording also has options you might enjoy experimenting with. Gesture sensing also is useful. There is no need to use the power button to unlock the screen, open the flashlight, change the song playing, open the camera, and others, all you need to do is draw simple gestures on the screen even if is is asleep. This gives more time for your power button before it gets worn out. Security for your phone, app and files are also right at your fingertips, literally. S!gma Evo has finger scanner feature that can lock and unlock your phone securely and faster. The menu, home and return keys are brightly lit. Menu and return keys might be confusing at first since both looked the same, on the other hand, return key had always been on the right lower corner of the screens. It has a free case with front cover, so you don’t have to worry finding one that will fit this new unit. The cover also has the window showing the status of your phone such as time, battery life, messages, missed calls and others. With the price of P7,998, we think you can actually make a run for the KingCom’s money. It is a superb smartphone that can actually go head to head with the phones more expensive than it. We think you can get the value of your money and more from it. Tell us what you think.